The world today presents a wide range of music genres for people of all tastes. Whether electronic or heavy metal, sounds of any kind are available for everyone. Some of Kazakhstan’s outstanding musicians try to preserve traditional sounds and give them a modern twist. This year, Almaty hosted The Spirit of Tengri festival for the third time. The event attracted ethno musicians from Kazakhstan, China, Estonia, Georgia, Hungary, Norway, Russia and Turkey. The Spirit of Tengri is organised to unite the efforts of the current generation to preserve the spiritual riches of its ancestors, according to the festival’s website. Participants are successors of the traditions rooted deeply in the history of thousands of years of the Great Steppe. Tigrahaud, created two years ago, was the brainchild of Daniyar Zhakiyanov, who is also its manager. “I have been dreaming about such a project for a long time and later when I was forming a group there were very tough requirements for the musicians. First, the professional level had to be high, as well as the performing skills, and the key point for me was the versatility, meaning that in addition to the main instrument, the musician had to play another folk instrument,” he said. Zhakiyanov’s idea was to show audiences as many folk instruments as possible with a small band. From the beginning, Tigrahaud has aimed at drawing Kazakh and international audiences and promoting national folk music to the world. The manager formed a group consisting of professional artists who were graduates of Kazakh National Conservatory. Aibol Kudaibergenov and Lyazzat Segizbayeva play Kazakh national instruments; singer and poet Nurzhan Akhmetbekov writes lyrics and performs on dombra and guitar. Guitarist Yury Yunanov does rhythms and solos and plays the sherter. Sergey Serbu plays ethnic drums; second vocalist Anuar Isayev, a professional guttural singer, also plays national instruments. Zhakiyanov performs on bass guitar and ethnic percussion. The group is named for one of the Saka tribes that lived in the area of the modern Almaty region and the tribe that created the famous Golden Man unearthed from the Issyk burial mound. The moniker fits, as the group lives in Taldykorgan, where Tigrahaud formerly resided. 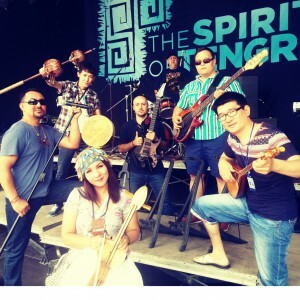 This year the band participated in the Spirit of Tengri for the first time. “I want to say it was a great experience for us. It had wide scale. A lot of different ethno groups came from different countries of the world. We enjoyed it so much. We would like such events to be organised more often. It seems that for two days Almaty became the centre of world ethnics; it was so nice to be there and we were doubly pleased to participate as artists,” said Zhakiyanov. Tigrahaud performs its own compositions, as well as folk songs and kuis (a traditional Kazakh composition performed on the dombra). “We want to popularise folk art, but with our twist. The process of writing the music is creative and collective. We gather for rehearsals, take our instruments and start to play. Then we create a musical riff. After that we develop it more, and if it is necessary, we write musical notes,” said Zhakiyanov. The group is inspired by Kazakh history, especially periods related to Batyrs (warriors) and Khans (Kings). Each song presents a story about someone. “Koilybai said, ‘Well, if you want I can make my kobyz race and I assure you it will come in first.’ People laughed even more, saying that he was mad. Koilybai raised his hands to the sky and whispered something and his kobyz took off and flew after the horses. After flying a few laps, it really came in first and stopped at Koilybai’s hand. After this incident, no one dared to laugh at the healer again. 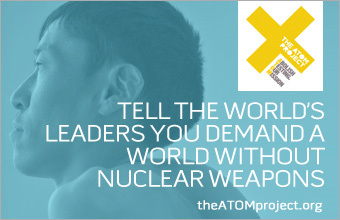 We read this story in the poem of Magzhan Zhumabayev,” said Zhakiyanov. He added the band is trying to pass on oral literature and its legacy through its music. Folklore is the direction that might interest others, because it shows culture, history and the way of life of a certain people, and will be always in demand, including in Kazakhstan. “Sometimes, to pass such a historical fact through music, we have to comprehend it for quite a long time; we have to pass it through ourselves. I feel like there is a lot untold about us, the Kazakhs, about our ancestors Sakas, and we have work to do. I mean untold history, the history of our ancestors. I’m sure the Western world will be interested in our folklore and even more in the mix with rock music. Now in our time, people are spoiled by an abundance of music styles,” said Zhakiyanov. The group has grand plans. It wants to show the world who the Kazakhs are, their extraordinarily-beautiful, sometimes cruel history and how a small nation had to defend the land from barbarians – all through its music. Arkaiym, a duo created in April 2014, is another bright representative of Kazakh ethno-folk music. Members Abzal Arykbayev and Anara Kassymova, who also perform with the famous ethno-folk groups Turan and Art-Dala, developed a new direction which they call neo-ethno-folk. The genre is a completely different direction in music, embodying the synthesis of diverse musical styles. The basic idea behind the duo’s creation was the desire to recreate the sound of old, archaic instruments in an entirely new interpretation. The artists play more than 30 types of folk musical instruments, both Kazakh and world types, including winds of Native North Americans, didgeridoo (shamanic musical instrument of the Australian Aborigines), darbuka (Turkish national musical instrument) and Kyrgyz instruments. Kassymova is one of only a few women in the world to practice kargyraa, the ancient art of Turkic throat singing. She also plays more than 10 folk instruments and is a soloist with the instrumental and vocal group Art-Dala and scientist at the Museum of Kazakh folk musical instruments. She has visited more than 20 countries performing solo concerts and participating in various international festivals. Multi-instrumentalist Arykbayev is also a soloist with Turan, vice president of the Heritage of Nomadic Civilisation Public Foundation, head of the research department of the Museum of Kazakh Folk Instruments and the United Nations Educational, Scientific and Cultural Organization (UNESCO) expert on the intangible heritage of the Kazakh people. She also teaches throat singing and Kazakh musical instruments. Kassymova noted the process of writing each composition is completely different, as their songs are not aimed at a specific audience. “We’re trying to embrace all ages and practically the entire audience. Songs come by inspiration to many composers and this spiritual, creative state can come at any time. There were cases when the composition was born deep in the night. In our music, in our work, we focus on the folk musical instruments of our ancestors and we try to show their importance and their possibilities,” she added. As any musician or band, Arkaiym wants world fame – not their own fame, but fame and recognition of Kazakh folk instruments. “Because we have a priceless treasure, which unfortunately is sometimes unnoticed by us,” the duo explained. Working at the Museum of Musical Instruments, the performers have a chance to draw visitors closer to the country’s musical heritage through training, workshops and exhibitions. They released their first album, “Arkaiym,” with the help of The Foundation of the First President of Kazakhstan through which they won a grant for creative development, and are looking forward to the release of their first video. Aldaspan, created by Nurzhan Toishy, is famous among ethno music lovers for its electric dombra sound. Toishy fell in love with heavy metal as a kid. Listening to riffs by James Hetfield, Kerry King, Max Cavalera and others, he realised their emotional sound was very similar to the riffs and chords used in Kazakh kuis. Toishy played the dombra in high school; after graduation, he and Murat Kubekov, a piano-tuner and dombra maker for the Kazakh State Conservatory, created three experimental electro dombras. He continued to tinker with the design, wanting to show to the world the possibilities of the instrument, and chose heavy metal as his style, opting to leave dombra playing to others and becoming a drummer, soloist and front man. Aldaspan is a heavy kind of sabre used against armoured soldiers and cavalry. The group identifies with war, courage, bravery and fighting; real men’s stuff, the backbone of Turkic folk songs. Kazakh people formed the basis of Genghis Khan’s army and for them, war was their main profession after farming. 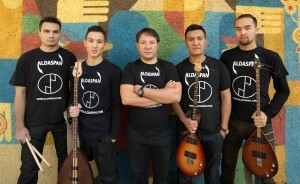 The group consists of Toishy (vocals, drums), Shamshaddin Omarov (bass dombra, throat singing, Jew’s harp), Ruslan Alpyssov (drums), Maksat Hassanov (solo dombra, back vocals, Jew’s harp) and Dulat Zhaksylyk (rhythm dombra, harp). Combining heavy metal with Kazakh national instruments makes the sound fresh and unusual. “Our music is in demand among the intellectual public and rockers. Not everyone listens to our music, because mainly it is not for dancing,” said Toishy. Like Genghis Khan, Aldaspan has plans to conquer the world. “We have modern PR moves, but we do not have a sponsor, and we do everything by ourselves, plus we get help from different promoters,” said Toishy. All the groups have great expectations for the future and are inspired by the cultural heritage of their Kazakh ancestors. Music is the biggest part of the intangible legacy of any culture, thanks to the inspired and talented people making efforts to preserve that inestimable wealth.